There are a number of factors that lead to obesity, the most obvious of which is of course eating too much, without burning the excess fat by exercising. Fact is, there are some people in the world who no matter how much they’d eat, they never seem to be satisfied, constantly consumed by a sense of hunger and a voracious appetite. These individuals have a problem, and it’s genetic in nature. A recent research made by scientists at Georgetown University Medical Center have found that a gene mutation causes one to uncontrollably eat, as a result of a malfunctioned appetite quenching signal from the body to the right place in the brain. Hunger is a an indispensable biological mechanisms, which signals a healthy individual that it’s time to ingest food and nourish the body by fluctuation of leptin and ghrelin hormone levels. Increasing levels of leptin result in a reduction of one’s motivation to eat. In humans, leptin and insulin hormones are released into to the body such that the brain may know that it’s time to stop eating, however researchers have found that mutations in the brain-derived neurotrophic factor (Bdnf) gene does not allow brain neurons to effectively pass leptin and insulin chemical signals through the brain. The BDNF gene is crucial to the formation and maturation of the synapses, structures that link neurons with one another and allow chemical signal transmission between them. The gene generates one long and one short transcript. Researchers observed that mice which lacked the long-form Bdnf transcript had many immature synapses, resulting in deficits in learning and memory. Mice suffering from the same Bdnf mutation were also severely obese. “This is the first time protein synthesis in dendrites, tree-like extensions of neurons, has been found to be critical for control of weight,” says the study’s senior investigator, Baoji Xu, Ph.D., an associate professor of pharmacology and physiology at Georgetown. “This discovery may open up novel strategies to help the brain control body weight,” he says. Other researchers began to look at the Bdnf gene in humans, and large-scale genome-wide association studies showed Bdnf gene variants are, in fact, linked to obesity. 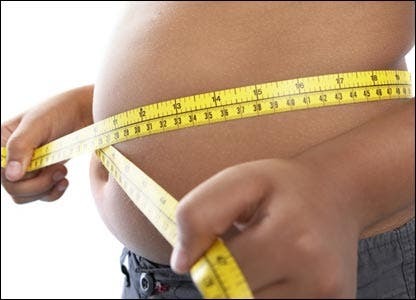 Other large-scale genome-wide association studies have shown than the Bdnf gene variants are indeed linked to obesity in humans, as well – this is a fact that’s been well known for some time, but the mechanics weren’t understood before this study. Xu’s research shows that leptin and insulin chemical signals need to be moving along the neuronal highway to the correct brain locations, where appetite might be quenched, however when the Bdnf gene is mutated, neurons can’t communicated very well with each other anymore. “If there is a problem with the Bdnf gene, neurons can’t talk to each other, and the leptin and insulin signals are ineffective, and appetite is not modified,” Xu says. Scientists are now looking for way to regulate the leptin and insulin signal movements though the brain neurons. One immediate way to make this happen might be to introduce adeno-associated virus-based gene therapy such that additional long-form Bdnf transcript might be produced. Though this is a safe procedure, the researchers believe gene therapy might be ineffective, compared to a drug which can stimulate Bdnf expression in the hypothalamus. The researchers’ findings were reported on March 18th in journal Nature Medicine.